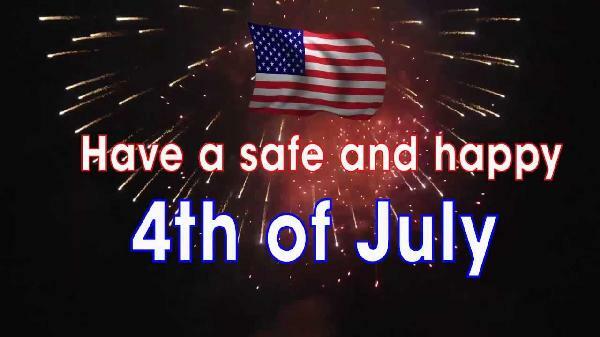 The Buena Park Police Department wishes everyone a safe and happy Independence Day. Please celebrate in a responsible manner. The City of Buena Park is one of just a few cities allowing the sale and discharge of fireworks. Approximately 30 fireworks booths will be located throughout the city. These booths will only be allowed to sell Safe & Sane Fireworks between the hours of 10 a.m. and 10 p.m. on July 1st to July 3rd, and between the hours of 10 a.m. and 8 p.m. on July 4th. Persons may discharge only Safe & Sane Fireworks on July 4th between the hours of 10 a.m. and 10 p.m. The discharge of fireworks any other day of the year is unlawful. Modifying legal fireworks, and the possession or discharge of illegal fireworks and explosives are violations of the California Health and Safety Code and the Buena Park Municipal Code. The minimum mandatory fine is $500 and punishment can include jail. The discharge of fireworks is not permitted on any public property, including all City parks, with the exception of public streets and right-of-ways. Some City parks will be closing early on July 4th to discourage persons from violating this law. This year, the City is not issuing block party permits during the week of July 4th. Without a permit, block parties are illegal. Setting up barricades or otherwise facilitating a block party during the week of July 4th is a misdemeanor violation of the Buena Park Municipal Code. The discharge of a firearm within the City limits is against the law. Discharging a firearm in an unsafe manner is a felony. The City of Buena Park reminds revelers of the inherent dangers of such behavior. The City of Buena Park is using a variety of methods to educate the public about fireworks safety and laws, including print and electronic media, cable television, flyers and public service announcements. Use only legal fireworks from licensed vendors and set them off in the street away from automobiles, trees and power lines. Keep matches and lighters away from children. Each year on this day, more children and adults are injured and more property damage is sustained than on any other holiday. The public is asked to report any illegal activity to the Buena Park Police Department at (714) 562-3902. Use this number to report illegal fireworks and please only call 911 for a true emergency.